One of the most considerable issues in the global society is reducing CO2 emissions of industrial activities and its consequences. Therefore, exploitation of clean energy sources is one of the requirements of the international community. In this regard, the researchers investigated the impact of renewable energy utilization to achieve the low carbon economy and concluded that it can significantly reduce the CO2 emissions of transportation and industry sectors. Wind power offers a sustainable option in the pursuit of renewable energies. In this article, the development of wind energy in the world and leading countries is investigated. It is found that by the end of 2017, the utilization of wind resources has prevented at least 600 and up to 1100 million tones CO2 emissions. Also, if the current rate of wind energy development continues, up to 2100 million tones CO2 will be avoided by the year 2030. Eventually economic analyses illustrated that utilization of wind energy in 2030 can reduce up to 210 billion dollar in global energy costs and more than 300 billion cubic meters natural gas equivalent of fossil fuels resources. Ashraf, I. (2006). Estimation of CO2 mitigation potential through renewable energy generation. Paper presented at the Power and Energy Conference, 2006. PECon'06. IEEE International. British Petroleum (BP). (2017). BP statistical review of world energy. Chunark, P., Limmeechokchai, B., Fujimori, S., & Masui, T. (2017). Renewable energy achievements in CO2 mitigation in Thailand's NDCs. Renewable Energy, 114, 1294-1305. Crawford, R. (2009). Life cycle energy and greenhouse emissions analysis of wind turbines and the effect of size on energy yield. Renewable and Sustainable Energy Reviews, 13(9), 2653-2660. Delarue, E. D., Luickx, P. J., & D’haeseleer, W. D. (2009). The actual effect of wind power on overall electricity generation costs and CO2 emissions. Energy Conversion and Management, 50(6), 1450-1456. Den Elzen, M., Admiraal, A., Roelfsema, M., van Soest, H., Hof, A. F., & Forsell, N. (2016). Contribution of the G20 economies to the global impact of the Paris agreement climate proposals. Climatic Change, 137(3-4), 655-665. Frank Oteri, R. B., Ian Baring-Gould, Suzanne Tegen. (2018). 2017 State of Wind Development in the United States by Region: National Renewable Energy Laboratory. Huppmann, D., Egging, R., Holz, F., Ruester, S., von Hirschhausen, C., & Gabriel, S. (2009). The world gas market in 2030: Development scenarios using the world gas model. Iyer, G. C., Edmonds, J. A., Fawcett, A. A., Hultman, N. E., Alsalam, J., Asrar, G. R., . . . Jeong, M. (2015). The contribution of Paris to limit global warming to 2 C. Environmental Research Letters, 10(12), 125002. Kusumadewi, T. V., Winyuchakrit, P., & Limmeechokchai, B. (2017). Long-term CO 2 Emission Reduction from Renewable Energy in Power Sector: The case of Thailand in 2050. Energy Procedia, 138, 961-966. Liu, T., Xu, G., Cai, P., Tian, L., & Huang, Q. (2011). Development forecast of renewable energy power generation in China and its influence on the GHG control strategy of the country. Renewable Energy, 36(4), 1284-1292. Luckow, P., Stanton, E., Fields, S., Ong, W., Biewald, B., Jackson, S., & Fisher, J. (2016). Spring 2016 National Carbon Dioxide Price Forecast. Synapse Energy Economics, Inc.: Cambridge, MA, USA. Martínez, E., Sanz, F., Pellegrini, S., Jiménez, E., & Blanco, J. (2009). Life-cycle assessment of a 2-MW rated power wind turbine: CML method. The International Journal of Life Cycle Assessment, 14(1), 52. Pachauri, R. K., Allen, M. R., Barros, V. R., Broome, J., Cramer, W., Christ, R., . . . Dasgupta, P. (2014). Climate change 2014: synthesis report. Contribution of Working Groups I, II and III to the fifth assessment report of the Intergovernmental Panel on Climate Change: IPCC. Panwar, N., Kaushik, S., & Kothari, S. (2011). Role of renewable energy sources in environmental protection: a review. Renewable and Sustainable Energy Reviews, 15(3), 1513-1524. Research, E. U. E. C. D.-G. f. (2003). External Costs: Research results on socio-environmental damages due to electricity and transport: Office for Official Publications of the European Communities. Saidur, R., Rahim, N., Islam, M., & Solangi, K. (2011). Environmental impact of wind energy. Renewable and Sustainable Energy Reviews, 15(5), 2423-2430. Winyuchakrit, P., Limmeechokchai, B., Matsuoka, Y., Gomi, K., Kainuma, M., Fujino, J., & Suda, M. (2016). CO2 mitigation in Thailand’s low-carbon society: The potential of renewable energy. Energy Sources, Part B: Economics, Planning, and Policy, 11(6), 553-561. Yousefi, H., Noorollahi, Y., Mohammadi, M., Bigdelou, P., & Taheri Bavil Oliaei, M. (2017). Assessment and Deployment of Ground Source Heat Pump for Air Pollution Reduction in Tehran, Iran. 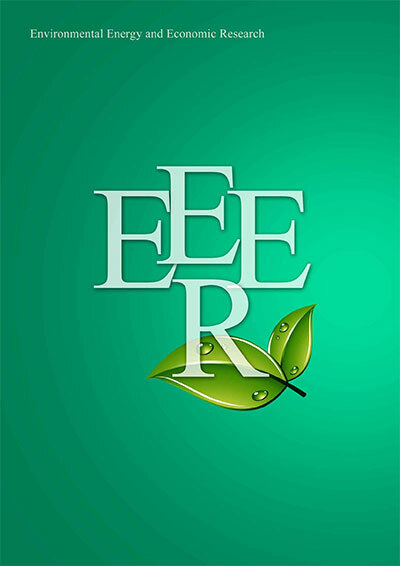 Environmental Energy and Economic Research, 1(3), 269-278. Zhang, X., Ma, C., Song, X., Zhou, Y., & Chen, W. (2016). The impacts of wind technology advancement on future global energy. Applied energy, 184, 1033-1037.